Every year thousands of undergraduates apply to psychology doctoral programs. And every year, doctoral programs accept a select and relatively small subset of these students. A while later (sometimes a long while later) most of these students will enter the job market. A sizeable portion of these new PhDs will apply for academic positions. These job seekers have two universal questions: What does the market look like, and do I have the preparation necessary to land a position? Regarding the latter, it turns out that teaching experience and skills are critical—something that aspiring doctoral students should keep in mind when deciding where to apply. 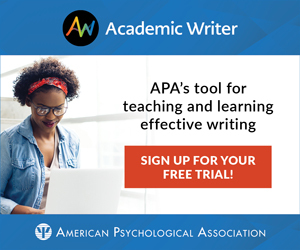 Clifton and Buskist (2005) examined over 1200 position advertisements found in the October and November issues of the Association for Psychological Science’s (APS) Observer and the American Psychological Association’s (APA) Monitor for 2002 and 2003. They found that over three quarters of these positions represented openings at the assistant professor (64 percent) and assistant/associate professor (12 percent) levels. Thus, the lion’s share of position openings fell squarely within the range of brand new PhDs. The vast majority of the advertisements requested that applicants include a cover letter (69 percent), a vita (96 percent), publication reprints (66 percent), and letters of reference (93 percent) in their application packets. A smaller subset of these advertisements also requested statements of research interests (43 percent). Although we often think of new PhDs emerging from graduate school with extensive training in research only, many job advertisements request information about applicants’ teaching experience and training. For example, about 30 percent of the advertisements requested that applicants include a statement of teaching philosophy in their application packet and about 20 percent requested copies of teaching evaluations. A much smaller percentage of the advertisements requested sample syllabi (1.7 percent) and teaching portfolios (2 percent). To verify that these data regarding teaching generalize to the current job market, we reviewed 184 position advertisements in the October 2005 issue of the APS Observer and found similar results. The majority of advertisements requested applications at the assistant professor or assistant or associate professor levels (79 percent). Sixty percent noted that the successful candidate would be teaching at the undergraduate level. Fifty-three percent of advertisers requested a statement of teaching interests or teaching philosophy. Finally, 32 percent of the advertisements specifically identified a “commitment to teaching excellence” as a criterion for the successful job candidate and 26 percent requested documentation of teaching effectiveness such as teaching evaluations, teaching portfolios, or letters of recommendation specifically addressing teaching skills. That teacher training and teaching experience during graduate school are important credentials for getting that first academic job is reinforced by Benson and Buskist’s (2005) research on “teaching excellence.” They found that a common descriptor of the successful candidate in job advertisements included the phrase “committed to excellence in teaching,” or “a demonstrated commitment to teaching,” or the like. They surveyed the chairs of faculty search committees, program directors, and department chairs of 284 psychology departments advertising position openings in the APS Observer and APA Monitor in 2000 and 2001 that contained such descriptors. They also found that the top three factors in the hiring of the successful candidate differed slightly by type of institution. Overall, doctoral institutions placed primary emphasis on publications and conference presentations (81 percent rated this variable among their top three most important factors), but with substantial emphasis placed on previous teaching experience (52 percent) and the job talk (44 percent; the job talk is often used to assess the candidate’s communication skills, a key element in effective teaching). Master’s level institutions stressed previous teaching experience (72 percent), publications and conference presentations (52 percent), and the job talk (48 percent; with a live teaching demonstration coming in 4th (36 percent)). Finally, baccalaureate institutions focused primarily on previous teaching experience (70 percent), a live teaching demonstration (58 percent) and the job talk (35 percent; with publications and conference presentations coming in a close 4th (31 percent). Combined, these data lead to an inescapable conclusion: In addition to research experience, interest in teaching, teaching experience, and a commitment to excellence in teaching matter in today’s academic job market for new PhDs. Indeed, the more teaching experience graduate students obtain on the way to completing their PhDs, the better they will likely fare on the academic job market (e.g., Barone, Graybill, & Critchfield, 2004; Benson & Buskist, 2005; see also Buskist, Beins, & Hevern, 2004; Lewandowski, 2004). Doctoral institutions vary enormously both in the kinds of teaching opportunities they offer their graduate students and in the kinds of preparation for teaching they provide in the process. Some institutions permit no teaching opportunities whatsoever, others permit grading (which is not really “teaching”), and still others permit their graduate students to instruct laboratory sections of specific courses or to become teachers of record (i.e., they have total responsibility for teaching a course). Likewise, some institutions provide no preparation for their graduate students’ teaching while others provide very extensive preparation at every turn along the way (Meyers & Prieto, 2000; see Buskist et al. (2004) for detailed descriptions of several different models of teaching graduate students how to teach at the college and university level). Some schools also participate in some variation of the Preparing Future Faculty (PFF) program in which graduate students receive instruction in college and university teaching and visit nearby colleges where they often visit with particular faculty about their work (some graduate students actually shadow faculty members), sit in on faculty and other department meetings, and give a guest lecture or two. Perhaps the most common method for preparing psychology graduate students for college teaching, though, is through “teaching of psychology” or “college teaching” courses. At some institutions such a course is offered before graduate students become teaching assistants or teachers of record, and at other institutions, the course is taken concurrently with a teaching assistantship or teacher of record duties. Such courses vary widely across institutions in terms of content, duration (one, two, or three academic terms), and in quantity and quality of supervision (none versus frequent written and verbal feedback based on a faculty supervisor’s observation of graduate student teaching) (Buskist, Tears, Davis, & Rodrigue, 2002). Most doctoral programs offer training in research, one or two professional areas, and teaching. The balance among these training responsibilities may vary, but teaching gets one-third of the turf at best, and time devoted to preparing teachers is continuously in competition with time for research and professional training. However, the reality is that, in almost every program, teaching ranks third in the list of priorities (Korn, 2004, p. 65). Korn offered several reasons for why psychology departments do not do better a better job in preparing their graduate students for college and university teaching. Most prominent among them is the notion that the PhD is intended to be a research/professional degree, which by necessity entails extensive training in methodology, quantitative analysis, writing, as well as preparation for clinical and applied careers. He noted that “faculty who supervise this training are partially dependent on graduate students for their own academic success. The greatest rewards in this system come from publication in top research journals and grant support, not from teaching” (p. 65). Thus, if research training is truly a zero-sum game, then it is in best interest of doctoral faculty to keep their graduate students busy in the laboratory or field and not in the classroom learning how to teach well. However, placing value on good teaching and being a productive researcher are not mutually exclusive: Many faculty members who are productive researchers are also excellent teachers who place high value on effective instruction (Rasmussen, Lawyer, & Buskist, 2003). Prejudice Against Graduate Student Education in Teaching? If truth be told, although psychology job announcements frequently list teaching experience and a commitment to excellence in teaching as prominent hiring criteria, academic psychology, as a whole, does a stunningly poor job preparing its graduate students to take their place among the teaching professorate. Such lack of preparation may not just be an oversight. Rather, some faculty actively discourage their graduate students from having anything to do with teaching even though they know full well that their students will eventually have careers heavily grounded in teaching. Consider, albeit anecdotal, the experience of three graduate students we met this year at as many professional research conferences. The first graduate student was attending a preconference workshop on teaching critical thinking. During our conversation, she noted that her major professor did not know she was attending this session nor would she tell him that she had done so for fear of reprisal. She noted although her assistantship involved teaching, her major professor believed that time spent teaching detracted from time she could spend on her research. The second graduate student made virtually the same comment during a session on master teaching at a different conference. Interestingly, both of these graduate students stated that their primary career goals centered on landing jobs at smaller schools “where teaching really matters.” Their major professors were not interested in preparing these students for the kind of professional life they truly wished to pursue. The third student presented a poster describing a teaching assessment technique. In passing, she told us that she already has taught several upper division classes. When we asked about what kind of preparation she has had for her teaching, she replied “None—no one has observed me teach or even asked how my teaching is going. I was just told to go teach. I would love for someone to give me some feedback on what I am doing well and what I could better.” In some psychology departments, perhaps such as this graduate student’s, the goal is to get a particular class covered. Once the teaching assignment is made, it is assumed that the graduate student will somehow manage to teach it on his or her own. If we had a dollar for every graduate student we have met at conferences with similar stories, we might not have enough for early retirement, but we likely would have enough for a really nice extended holiday. Other psychology faculty concerned with preparing graduate students for teaching have had experiences similar to ours when talking to graduate student teachers (and would-be teachers) around the country (e.g., Korn, 2004). Thus our experiences with graduate student teachers and those who wish to teach are neither isolated nor unusual—many graduate students receive little or no support in their teaching duties or in their interest to become college teachers. Many other graduate students face strong faculty pressures not to pursue their interests in teaching, or at best, to keep those interests in the closet. Finding a solution that involves universal training, education, and supervision for all graduate student teachers is a lofty and, at present, unobtainable goal. The premium that many psychology departments place on research training-only or research plus applied professional training-only in graduate school coupled with limited faculty time to devote to supervising graduate student teaching mitigate against immediate overthrow of the status quo. Nonetheless, some psychology departments include varying degrees of preparation for teaching in their graduate programs. These departments are reasonable starting points for developing a national movement for teacher preparation at the college and university level. In fact, a few of these departments provide substantial and rigorous training and supervision in the teaching of psychology, and more generally, in college and university teaching (see Buskist et al., 2004 for description of several such programs). These departments could easily serve as exemplars for other psychology departments wishing either to initiate a graduate student teaching program or to improve an existing one. Of course, there is the problem of getting the word out that these programs exist. If departments with teaching components, either individually or collectively, advertised themselves more aggressively regarding this unique aspect of their doctoral program, two things might happen (see also Korn, 2004). First, they might attract more students whose central career ambition includes becoming a scholar-teacher. Second, colleges and universities who place strong emphasis on hiring excellent teachers might look to those particular departments to fill assistant professor positions. With both sides of the job market—potential faculty and the departments that hire them—pressing for better preparation of graduate student teachers, psychology departments that neglect graduate student preparation for teaching may risk attracting fewer new graduate students as well as failing to place new PhD students in academic positions demanding excellence in teaching. Victor Benassi, who leads one of the premier graduate student teacher education programs in the US, has suggested that all psychology doctoral programs that place their graduates in academic positions should prepare those students for their future roles as college teachers and academic citizens (Wimer, 2005). He said that required courses in these areas are just as necessary as required courses in statistics and research methods in the professional development of graduate students. Such preparation, mixed with actual teaching experience, may aid graduate students in making a smoother transition between graduate school and the professoriate than it otherwise might be. As Boice (1992) noted, reducing the time it takes new faculty to develop the courses they will be teaching may actually allow more time for them to launch their research programs. A second suggestion involves looking to sources outside psychology departments for novel ideas and support. For example, organizations that have special concern for the quality of teaching in psychology departments, such as APS, the Society for the Teaching of Psychology, and APA’s Education Directorate might be persuaded to bring their considerable resources—brain power, national prestige, convention time, publication space, and funding—to bear on finding effective ways to enhance the education, training, and supervision of graduate student teachers. Clearly, psychology’s need for better preparation of its graduate students represents a national concern that can only be effectively addressed by integrated efforts across local and national levels. Finally, beyond just job market considerations, it is important to keep in mind that teaching has been and always will be the primary means by which we attract the next generation of graduate students to psychology. Perhaps equally important, teaching also is the chief avenue we have to influence the perceptions of hundreds of thousands of undergraduates about psychology’s value to society. These students may not go on to major in psychology, but they form a large pool of potential consumers of psychological services. Some of these students may even be in leadership positions someday to determine whether psychological research gets funded or if psychologists get hired in business and industry. Too much is at stake in the undergraduate classroom to provide substandard training to graduate students who are on the front line of our educational enterprise. As a discipline, we should be doing all we can to ensure that these future PhDs have an opportunity to become competent, if not excellent, teachers. Barone, D. F., Graybill, D. F., & Critchfield, T. S. (2004). Hiring a new assistant professor at a large mid-level public university. In W. Buskist, B. C. Beins, & V. W. Hevern (Eds. ), Preparing the new psychology professoriate: Helping graduate students become competent teachers (pp. 122-126). Syracuse, NY: Society for the Teaching of Psychology. Retrieved 12 June 2006 from the Web site: www.teachpsych.org/teachpsych/pnpp. Benson, T. A., Burke, C., Amstadter, A., Siney, R., Beins, B., Hevern, V. W., & Buskist, W. (2005). Teaching in autobiography: Perspectives from psychology’s exemplary teachers. Retrieved 14 June 2006 from the Web site: http://teachpsych.lemoyne.edu/teachpsych/eit/index.html. Benson, T. A., & Buskist, W. (2005). Understanding “excellence in teaching” as assessed by psychology faculty search committees. Teaching of Psychology, 32, 47-49. Boice, R. (1992). The new faculty member: Support and fostering professional development. San Francisco: Jossey-Bass. Buskist, W., Tears, R., Davis, S. F., & Rodrigue, K. M. (2002). The teaching of psychology course: Prevalence and content. Teaching of Psychology, 29, 140-142. Clifton, J., & Buskist, W. (2005). Preparing graduate students for academic positions in psychology: Suggestions from job advertisements. Teaching of Psychology, 32, 264-266. Korn, J. (2004). Visions and realities in preparing college teachers. In W. Buskist, B. C. Beins, & V. W. Hevern (Eds. ), Preparing the new psychology professoriate: Helping graduate students become competent teachers (pp. 127-133). Syracuse, NY: Society for the Teaching of Psychology. Retrieved 14 June 2006 from the Web site: www.teachpsych.org/teachpsych/pnpp. Lewandowski, L. J. (2004). The successful job applicant: What Syracuse University seeks in new assistant professors In W. Buskist, B. C. Beins, & V. W. Hevern (Eds. ), Preparing the new psychology professoriate: Helping graduate students become competent teachers (pp. 127-133). Syracuse, NY: Society for the Teaching of Psychology. Retrieved 12 June 2006 from the Web site: www.teachpsych.org/teachpsych/pnpp. Meyers, S. A., & Prieto, L. R. (2000). Training in the teaching of psychology: What is done and examining the differences. Teaching of Psychology, 27, 258-261. Rasmussen, E., Lawyer, S., & Buskist, W. (2003). Do researchers teach? A survey of selected APA journal editorial board members. Teaching of Psychology, 30, 73-75. Wimer, D. J. (2005). Raising the bar for the training of college teachers. An interview with Victor Benassi. Teaching of Psychology, 33, 148-152. WILLIAM BUSKIST is Distinguished Professor in the Teaching of Psychology at Auburn University. JESSICA IRONS is a graduate student in psychology at Auburn University.